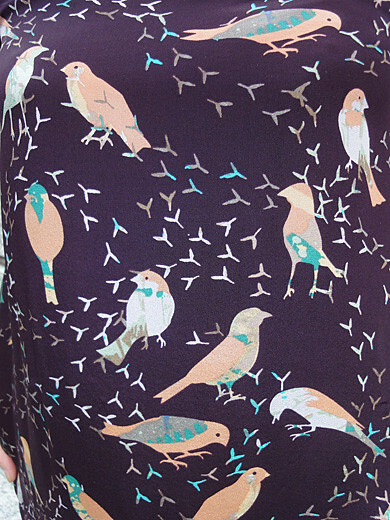 I got a bird print 100% silk dress from see by chloe. 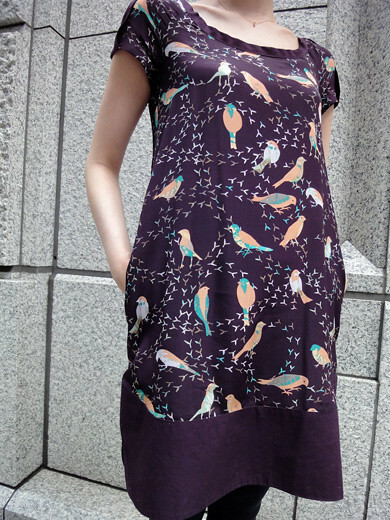 The lovely colorful birds and their footprints are printed on the prune color silk dress with a solid, curved hem. The beautiful and pretty dress makes me very fun.